Unlock the Ratcatcher achievement / trophy and explore the disgusting confines of your prison in the Banned Footage Vol. 1 DLC for Resident Evil 7. 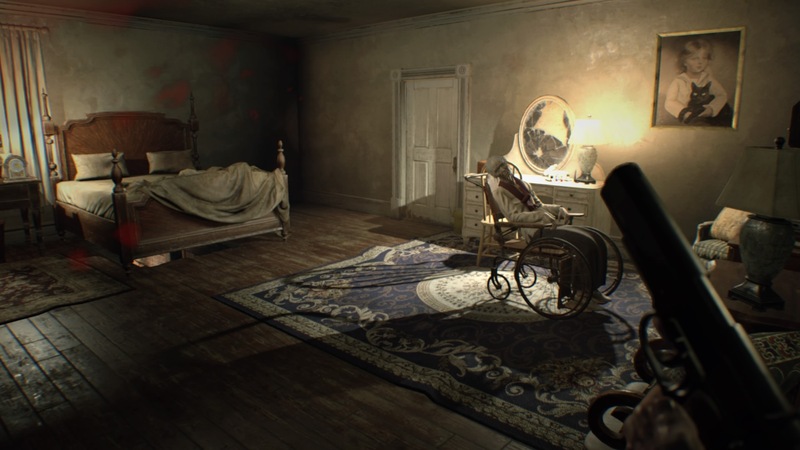 Here, we’re focusing on the Bedroom scenario, and the optional collectibles you can find. There are a total of three rats to find in the bedroom, and all three are available after your second meal is delivered by Marguerite. The goal here is to not arouse her suspicion, but you don’t need to actually escape to find these rates. Check out the complete guide below for all the rat-tastic details. Banned Footage Vol. 1 includes more than just Bedroom. It also includes a survival mode called Nightmare — trapped in a basement with an endless horde of monsters, you’ll have to survive as long as possible. The add-on also includes the Ethan Must Die content, upping the tough-ness quotient above the already-really-hard Madhouse difficulty. The rats can be examined / collected after Marguerite visits you for the second time, bringing a covered pot filled with ‘food’ — this is after you’ve already moved the bed once before. Getting out of your restraints, you’ll be able to explore and find all three hidden rats. Rat #1: After Marguerite brings the large covered pot, take the fork, stove, and lantern. Open the pot and use the fork on the food to take a bit. After spitting it out, examine the food a second time to find the rat. Rat #2: Enter the locked Supplies closet. To remove the padlock, enter [Serpent / Leaf / Apple]. The rat is on top of the book shelf, next to the over-turned chair. Rat #3: Look in the corner of the room with the picture frame on top of a barrel. The rat is on the floor behind the shutters, next to the radiator. Examine all three rats and you’ll unlock the Ratcatcher achievement / trophy.